Nature has always been a place of refuge for me. Living on the west coast I seem to have a deep connection to the mountains and to the wild and adventurous spirit from generations past. Unfortunately my two children did not seem to have this inner connection to nature. This is where this short post story was born. In August of 2014 I chose to take my kids for the adventure of a lifetime. We traveled to one of the most beautiful wilderness areas that I have ever seen. 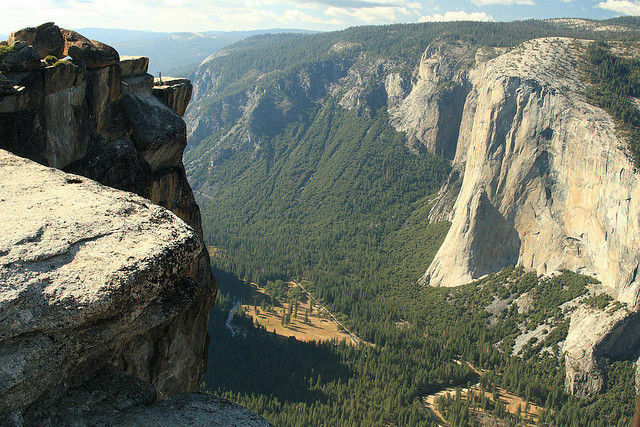 Yosemite National Park is one of the most grand and epic landscapes on earth. Its huge towering walls and clear rivers, it was exactly what my kids needed to see. While I wanted to get them out of the city to experience nature I did not want them to get hit all at once. This is why I made the decision to stay in the Ahwahneee Hotel. This classic lodge embodied the rich history of the valley and gave us the chance to explore by day and feel the comforts of home by night. We left early on a Wednesday morning and arrived late in the day to the valley. While the kids complained quite a bit on the drive, their eyes lit up as we descended the high walls of Yosemite. As a result my hopes were high for the rest of the outcome of this trip. That is when the weather turned. That night a huge thunderstorm descended upon Yosemite and released its fury upon the valley. Of course it rained the next day. This prevented us from hiking up Half Dome. But we were still able to enjoy much of what the valley had to offer. We rented bikes and cycled all around the valley in our raincoats. It was pure magic! Although old, the bikes allowed us to travel all around the area and get some wonderful exercise. (This was great because it made the kids want to take a nap.) As the storm receded the next day we were able to really get a view of the area. We went from tunnel view to glacier point and truly experienced this awe inspiring landscape. Our little Sierra getaway worked! My kids even wanted to be junior rangers at the end, and they are now asking when we can go back. I hope that if your children have not seen a wilderness area that you will read this short post and plan something. It worked for our family and it can work for yours as well.